Mark read books about modern agriculture and agricultural practices before becoming a part-time farmer on a two acre plot near Cleveland, Ohio. After three years, he dreamed of having his own farm. Mark is not alone. New and beginning farmers struggle to not only find available farmland, but also the capital to get started. According to the 2012 Census of Agriculture, the number of beginning farmers is at a 30-year low, down 20 percent since 2007. In an effort to help new and beginning farmers succeed in agriculture, American Farmland Trust investigated the challenges and opportunities beginners face and what resources are available to help them. Our report, Cultivating the Next Generation: Resources and Policies to Help Beginning Farmers Succeed in Agriculture, highlights 11 beginning farmers and ranchers from across the country, including Mark Trapp. 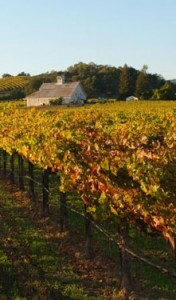 New and beginning farmers and ranchers’ most universal challenge is acquiring farmland to rent and buy. Mark took a creative approach; he worked with a local land conservancy working to restore the agricultural heritage of Ohio’s Cuyahoga Valley, which was designated as a national park. The Conservancy works closely with the National Park Service to select qualified and committed new farmers to make the land productive. Within eight months, Mark had a 60-year lease on 28 fertile acres. Inspired by the local foods movement, freelance writer-turned-farmer Alison Parker apprenticed for a year on an urban farm. 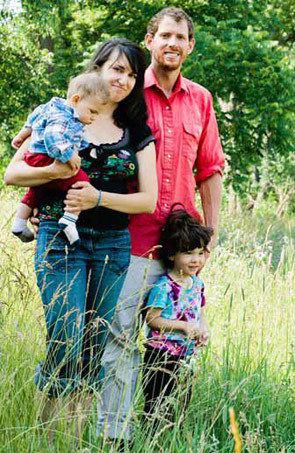 Hooked on farming, she interned on a CSA (community supported agriculture) farm before launching Radical Root Organic Farm in Libertyville, Illinois, with Alex Needham. A local nonprofit loaned them a one-acre plot to get started. Ready to expand after only their first season, they couldn’t find land they could afford. So, they focused on incubator programs and landed on the Farm Business Development Center (FBDC) at Prairie Crossing Farm, “It was a great location,” says Alison, noting that the farm is less than an hour to downtown Chicago. The FBDC provided access to land, key infrastructure and equipment and mentors from Sandhill Organics, the keystone, permanent farm on the Prairie Crossing site. During their first year, Alison and Alex leased two acres, a tractor, and tools. By the end of their fifth season, the farm produced certified organic vegetables, eggs, and honey for 110 CSA members and two larger farmers markets. Today, thanks to the support of the FBDC, Alison and Alex lease 12 tillable acres of conservation land in a unique land tenure arrangement with a local land trust. Liberty Prairie Foundation leases the land from Conserve Lake County and the forest district and then subleases it to Radical Root Farm. With their biggest hurdle behind them, Alison and Alex are getting equipment and infrastructure in place. They received a small grant, applied for a USDA microloan to purchase a wash-pack facility and cooler, and are using crowdfunding to help pay for a new greenhouse. Mark, Alison and Alex are beating the odds — they were able to secure land and capital to get started and are succeeding in agriculture. AFT found many private organizations and public programs to support beginning farmers and ranchers. But, they are widely dispersed and disconnected, making it hard for beginners to find, compare and access those resources, especially state policies. 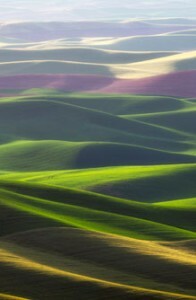 In response, we created a special collection on our Farmland Information Center: http://www.farmlandinfo.org/beginningfarmers. In addition, USDA just unveiled a new website to provide a centralized, one-stop resource where beginners can find the variety of USDA initiatives designed to help them succeed: http://www.usda.gov/wps/portal/usda/newfarmers?navid=newfarmers. This entry was posted in Farmer Profiles, Local Farms and Food and tagged beginning farmer, farmland conservation, Farmland Protection, Next generation on July 10, 2014 by Julia Freedgood. Three years before the Maryland Department of Agriculture revised nutrient management regulations a BMP Challenge crop adviser, Don Moore (AET Agricultural Consulting) took the initiative and partnered with American Farmland Trust and Agflex Inc. to work with seven farmers to inject or incorporate manure into the soil. Manure injection or incorporation increases fertilizer efficiency, thus reducing potential nutrient loss from the field three ways. When the manure is below, rather than on top of the soil, nitrogen rich ammonia gas can’t escape to the air making more of it available to the plant by as much as 20%. Secondly, the fertilizer is now located several inches closer to the plant roots. Finally, it is far less susceptible to being washed away in heavy spring rains. The potential is for this practice to allow the farmer to reduce the total amount of total fertilizer inputs mainly the chemical type put on mid-season, thus be, saving money and improving water quality. Since manure incorporation with vertical tillage equipment such as an Aerway or Turbotill is a relatively new practice, the BMP Challenge comparisons were setup to determine whether incorporation would affect yields. 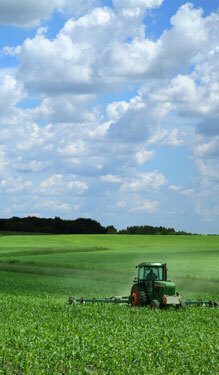 In 2012, participants applied the same number of nitrogen credits across the entire field. 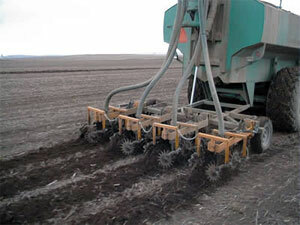 However, they reduced the amount of commercial fertilizer at sidedress on the manure incorporation acres. The incorporation increased the nitrogen credit to offset the commercial fertilizer reduction. By the third year, the part of the field where manure was applied to the surface at the recommended rate was compared to the rest of the field that used incorporation and a reduced application rate based less ammonia escaping to the air. Across the three years, incorporation showed an average increase in net returns by $6.00 per acre and a nitrogen reduction of 7 pounds. Over-all the farmers saved more than 8,400 pounds of nitrogen applications. Five of seven participating farmers in the BMP Challenge demonstrations were interviewed last fall regarding their participation. Three have purchased new equipment. One is seriously considering it and the fifth has expanded use of vertical tillage to all his crop acres. According to Moore, “Throughout the entire BMP Challenge process, farmers demonstrated their willingness and eagerness to learn. They want to learn about and adopt new technologies if they make good economic sense. They are not willing to risk yield to experiment. This is where the yield guarantee was important to them. In this world of high commodity prices, and inputs that are equally as high, growers are hesitant to entertain additional risk. No one is interested in over-application of nutrients. Maryland state law now requires farmers to inject or incorporate manure and other organic nutrient sources into the soil within 48 hours of application. The past three years of work on the Eastern Shore has provided important information to farmers and agricultural advisors as well. The BMP Challenge will be working with an expanded number of growers this year to transition from surface application to manure incorporation. This entry was posted in Conservation, Maryland, Water Quality and tagged BMP Challenge, conservation, eastern shore, manure injection on March 21, 2013 by admin. What first brought you to American Farmland Trust (AFT) and what has kept you engaged in your first year with the organization? I grew up on a grain and livestock farm in central Illinois and worked in agriculture in Illinois and Indiana most of my professional career. Shortly after graduate school, I began working at the Illinois Department of Agriculture where they had programs involving farmland protection and soil conservation. I became aware of AFT through the Department in the early 1980’s and respected their work and found it appealing. I also viewed agricultural policy as being driven more and more by environmental concerns and I thought of AFT as being a bridge between the agricultural and environmental communities. I still think that is an important function of the organization and I am interested in being a part of that effort. I think most folks who have heard of American Farmland Trust immediately think about preserving acres of farmland. If you’ve ever flown over or driven through Indiana, Illinois and Iowa, you know there are a lot of acres of farmland also with prime soils. I’ve thought about AFT’s work and approaches to promote the AFT brand in the Midwest and the best visual idea I’ve come up with is preserving both precious acres of farmland and precious inches of topsoil. What would you say was one of your favorite or fondest memories from the past year? Early in the year, I think it was probably the first weekend in February, John Hardin, who is on AFT’s board of directors and a Purdue Trustee, asked me if I wanted to attend the Purdue Ag Alumni Fish Fry with him. It’s a big event in Indiana agriculture and anybody that’s anybody in Indiana agriculture attends it. I happily went along and was delighted to find out that the luncheon speaker was a guy named Howard Buffet. Howard is the son of financier Warren Buffet and also is an Illinois farmer and has a charitable foundation. His message that day struck me as being perfect for the Purdue alumni audience. It was all about food security, not just U.S. food security, but global food security and the importance of soils and soil health and tillage systems and cover crops. It was a fascinating speech and I was really jazzed by his remarks. Also later that same month, I had an opportunity to attend a meeting at Purdue Research Farm about cover crops, the growing crops you put on the land after the corn and soybeans are harvested. They’re not commodity crops; they’re considered something that prevents soil erosion and adds to organic matter and other wonderful things that help with the health and the conditioning of the soil. I would say those two events probably did more than anything else to shape my thinking about what I might be able to do with AFT in Indiana and Illinois. In Illinois, AFT is working with partners to host Lady Landowners Learning Circles. Could you talk a bit about that project? For many years I worked for the Indiana Farm Bureau, an organization that represents the interests of agriculture, farmers and farm families. One thing I observed was that as farm couples age, typically women live longer than men. After they become widows, women are frequently in charge of a very valuable asset, meaning the farmland, and they may or may not have been engaged in dealing with government programs or some of the institutions that impact the farmland itself. I thought there’s an opportunity here, a niche for American Farmland Trust to play in helping educate and empower women who own or control the land. Through conversations with my new AFT colleague, Anne Sorensen, I found that we both had that same thinking in common. So we are making the case those women landowners have a lot of influence on who rents the land and whether or not conservation will be applied to the land. My father and mother were a team in their farming career. Their goal in life was to buy a farm, own their own land and raise and educate their two sons. And they were successful in that both of their sons have college educations and they bought and paid for a modest farm in west central Illinois. My dad passed away in 1993. My mother, as a widowed land owner, was fortunate in that she had a son as her tenant. But a lot of other women in that same circumstance don’t have a son or a daughter or that trusted tenant. There’s this challenge of women having enough information and knowledge to be able to deal with their tenants in an empowered way. When your partner passes on, there’s the immediate shock of the loss and then there’s the secondary shock of, “Well, what am I going to do? How am I going to manage? How am I going to take care of this asset that we spent our entire lives building?” They need information and confidence to make informed decisions and there could be a role for a national organization like AFT. What do you think are the most important steps for AFT in the Midwest in the coming year? First, I would say the cultivation of women landowners. Accelerating of adoption of cover crops would be important. Also, I had a recent and interesting phone call with the Champaign County Soil and Water Conservation District. They had been contacted by the Urbana- Champaign Sanitary District, the water treatment utility. They are really interested in exploring work with farmers to reduce phosphorus and nitrates in surface waters so that they might avoid having to build a large and expensive addition to their water treatment plant. Their thinking parallels our Ohio River Basin Water Quality Trading pilot in the states of Ohio, Indiana and Kentucky. If other Illinois municipalities were to decide to support on-farm conservation to address surface water nutrient loading that could be a significant new source of conservation funding. If a city like Chicago were to support conservation practices being applied over land in the Illinois River Valley that would be a very big deal. If we can be successful in the Ohio River Basin and have a couple good examples to go to big municipalities like Chicago, maybe we can sell them on a way of cleaning up the water in the Upper Mississippi River Basin. About the Author: Mike Baise joined American Farmland Trust in January 2012 as the Midwest Director. Baise’s primary responsibilities include managing projects that help farmers improve water quality, engaging stakeholders to develop policy, and finding practical solutions that result in viable farms and an improved environment. This entry was posted in Farmland Protection, Illinois, Indiana, Ohio, States and tagged 2012, accomplishments, lady landowners, Midwest, water quality trading on December 20, 2012 by Mike Baise. What brought you to American Farmland Trust (AFT) and has kept you engaged in your work over the past 11 years? I was first introduced to AFT when our former president, Ralph Grossi, along with AFT Special Advisor Norm Berg, came to discuss Farm Bill conservation programs with my then boss, Senator Herb Kohl. I was impressed that AFT clearly cared about both the environment and farmers—not just one or the other. I continue to feel that way. AFT fills an important niche in bridging the divide between the agriculture and environmental communities, and we are able to do that, in part, because we have a staff that knows and understands agriculture. I have great colleagues, and their expertise and commitment to those things that AFT works on makes it a wonderful organization to work for. What would you say one of your greatest accomplishments at AFT was in 2012? This past year has been one where AFT has focused our work at the regional level. We embarked on an exciting regional policy project with the Northeast Sustainable Working Group and the Conservation Law Foundation. We finished a regional milkshed study that looks at ways consumers and policymakers can support our region’s dairy farms. We organized a regional farmland protection convening attended by our land trust and state and federal agency partners around the region, and started planning for a larger regional farmland convening in 2013. And we continued our work with Farm to Institution in New England to build new markets for New England farmers and spur investment in the region’s food system infrastructure. It’s been an exciting year, with so much interest and energy around the region on building New England’s food system infrastructure and fostering economic development in agriculture. And with each of the New England states focused on planning for agriculture and the food system, it’s a great opportunity to think holistically about the region’s farmland base and what it will take not only to stem the loss of productive farmland, but to put additional land back into production to grow the region’s food production capacity. Brian Donahue at Brandeis University is working on an exciting vision about New England’s food future that imagines New England meeting at least half of its food needs in 50 years. Since we now produce only 10 percent of the fruits and vegetables we eat in New England, and less than 50 percent of the dairy products, this would be an enormous change, but one that could have a very positive impact on our food security, our economy and our environment. How much land will we need to get to this type of vision? And how do we work as a region to keep farmland in farming, reclaim land for agriculture in an environmentally sustainable way, and recognize that agriculture can play a critical role in our region’s economy and environment? What are some of your most relevant findings thus far in AFT’s efforts to identify policies to improve regional food resilience? Our two-year regional policy project with the Conservation Law Foundation and the Northeast Sustainable Ag Working Group is looking across the food system to identify both the most significant challenges and the policy levers that are going to be the most impactful. There are a few I would point out. One significant challenge—and this is not new—is farm profitability. There are some very significant hurdles that farm businesses face that we simply have to address if we want to encourage a next generation of farmers and increase food production in the region. Farm labor is a huge hurdle. Increased and complex regulations around food safety are another. Reducing costs and increasing efficiencies—in energy and other farm inputs, in processing and distribution—are others. We are also looking at opportunities to make land more accessible and affordable to both established and new farmers. A lot of landowners, including towns and land trusts, rent land to farmers but don’t always appreciate that some of the constraints they put on the use of that land make it challenging to farm. A lot of land that is protected in this region is protected in such a way as to make it difficult to farm. And for young farmers especially who don’t often have the resources to be able to purchase land, are there ways that might allow them to build some equity in a farm business on land that they may not own? There’s a lot of good thinking being done on this issue through Land For Good’s regional Land Access Project which we’ve been involved in, and we want to use this policy project to highlight and gain traction on some new policy ideas and tools. .
What are the most important steps moving forward in 2013 for your work in New England? One of the things that we are very excited about is having a regional convening in the first quarter of 2013 around farmland specifically. The convening offers an opportunity to brainstorm around regional collaboration and to showcase state and regional policies and projects that are making a difference that we think might be replicated across the region. That conversation, and the work leading up to it and coming out of it, I hope will produce a needed action plan for the region around farmland. Similarly, our new Farmland Advisors program, which we are doing jointly with AFT’s New York office, will be gearing up with webinars next spring and a conference next fall. This program will be training 80 participants—agricultural service providers, state agency staff, and land trust representatives—about farmland access and farm transfer tools and strategies. This is a way of taking what we’re learning from our regional policy project and the Land Access Project and getting information into the hands of the people who are working directly with farmers and landowners. We will also stay involved in 2013 in both state and regional-level food system planning. We’re excited that Massachusetts is about to embark on a statewide strategic food system planning effort, and that Connecticut will be rolling out its first recommendations associated with its agricultural planning efforts. Farmland loss has been significant in both these states, and we see these planning efforts as critical to building momentum for policies and investments that will help keep farmers on the land. What do you think is one of the most critical parts of your work in New England? We’re at an exciting point in time where policymakers and the general public want to support local farms and farming. We absolutely need to make the most of this opportunity. We need to demonstrate that agriculture really can be an economic driver. We need to explain how investments in agriculture and farmland can be good for both the environment and for public health. And in this age of competing demands on state, federal and private resources, we need especially to be strategic. How can we best leverage resources within and around the region? What state and federal policies can we revamp to encourage smarter growth and less conversion of farmland? And what will really make the biggest difference in keeping farmers on the land over the next ten years? Fortunately, AFT has many great partners around New England, along with members and donors who share our vision and goals. We look forward to working with them all in 2013! About the Author: Cris Coffin is the New England Director for American Farmland Trust, where she leads efforts to promote farmland protection, farm viability and conservation practices in New England through research, outreach, advocacy and policy development at the local, state and national level. This entry was posted in Connecticut, Farmland Protection, Local Farms and Food, Massachusetts, New York, States and tagged Cris Coffin, food future, land access, New England on December 20, 2012 by Cris Coffin. What brought you to American Farmland Trust and what has kept you here for 13 years? I grew up in a very rural part of Upstate New York in a community that was dominated by dairy farms and apple trees. What I always appreciated growing up was the importance of helping to protect the natural environment but also to do it in a way that would allow people to make a living from the land. I saw it first-hand in the work that my neighbors were doing. American Farmland Trust is a national leader in finding ways of protecting the land but also supporting the people that are making their living from that land. So AFT was a natural fit. Part of the reason I am still here is the people. I very much enjoy the people that have worked for American Farmland Trust. The commitment they have for the mission of this organization is very deep. We also work with some tremendous partners here in New York and we have the opportunity to see people that are really having an impact on the lives of a lot of New Yorkers. Every day is a little different. No two days are the same and I think there are incredible challenges here and that makes coming to work fun. 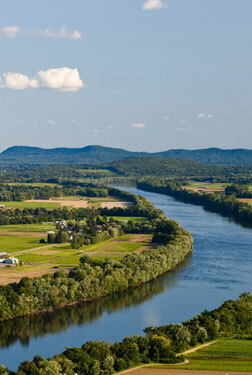 What was one of the greatest accomplishments in for American Farmland Trust in New York in 2012? I think it was a pivot year for AFT and our work in New York. Let’s face it, the last four years have been really, really tough. A lot of the public funding sources that we rely on for our work have been decimated. I think that in 2012 we saw that perhaps we are starting to rebuild some of the things that have been hurt so deeply. For example, our state farmland protection program got a boost in funding in 2012, up to $12 million. That program permanently protected 20 farms in 2011-2012. Those are 20 farm families and it is 6,000 acres of farmland that is now going to be permanently protected in this state. We also really are at the earliest stages in, I think, some of the most exciting projects we’ve had here at AFT in a long time. Diane Held’s work with the New Generation Farmer initiative in helping new farmers find land in helping the senior generation transfer their farms successfully, I think the work is phenomenal. 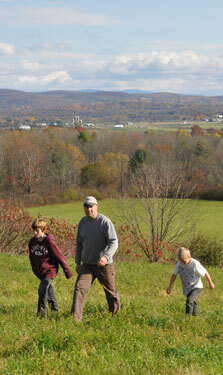 The Farms to Institutions in New York State initiative has just tremendous potential for AFT. I’m very excited about some of the work that Laura TenEyck is doing with an engagement campaign and hopefully in 2013 we’re going to take significant steps forward in getting more New Yorkers personally involved in helping stop the loss of farmland. I see the potential being very bright for AFT and our work in 2013. Could you share an inspiring or memorable moment from the No Farms No Food Rally and Lobby Day? I have the mental image of our Lieutenant Governor [Robert Duffy] joining us, talking about Governor Cuomo’s commitment to food and agriculture as an economic development priority. He was the mayor of the city of Rochester when American Farmland Trust gave Rochester the America’s Favorite Farmers Market award. He has seen personally how agriculture has such economic development potential in New York and how that can mean new jobs and new opportunities. He spoke very eloquently about that. So did Robert Morgantheau who was our keynote speaker and a former Manhattan district attorney. It was a very heartening thing to see Mr. Morgantheau there with his son Josh, who is now managing their family farm in the Hudson Valley, pointing to the connection that farms have to our history, talking about Franklin Roosevelt and Winston Churchill visiting their farm. But then he quickly moved into how their farm is helping to bring fresh produce into different communities in Brooklyn and Manhattan and the new CSA that they have. This connection with our history and our legacy in the Hudson Valley but also a lot of the interest in better diet and public health and some of the other connections we have here in New York. Those two people saying some of the things that they did really stood out for me. Laurie what comes to your mind when you think back? Is there anyone that has inspired the way you thought about a challenge or approach with your land transition and next generation farmer work in New York? For me, Matt just crystalized so much of the challenge for that senior generation, for his dad, but then also for him, as somebody that wanted to continue this family farm but was just struggling with the same sets of issues. Even though he grew up on a farm, he had gone off to school and he knew agriculture. It wasn’t a new experience for him but the challenges were so real. We need to be talking about both sides of the story. I think sometimes you get caught up in the young person that’s getting into agriculture. I think that’s a compelling story but we can’t forget the other side of the equation. What are the most important steps moving forward in 2013 for your work in New York? There are a few things that we’re going to be rolling forward with in 2013. We have one of our biggest water quality projects on eastern Long Island. We started to work with 10 farmers in helping them reduce their use of fertilizer to help protect Long Island Sound. I think we’re poised in 2013 to really ramp that up a notch and expand the number of farmers we work with and start looking at other types of crops that farmers are growing. 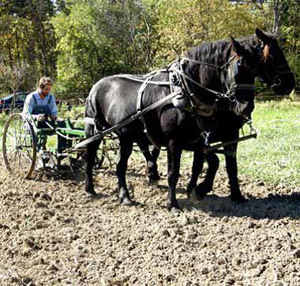 Our plans are to launch in 2013 this Greater Hudson Valley FarmLink network which will be a combination of a website, a series of training programs, and a network of supporting match facilitators to connect people that are looking for farms and have farmland available. So that is, I think, a very exciting program for 2013. About the Author: David Haight is New York Director of American Farmland Trust and aids state and federal legislators as they work on agricultural and land conservation legislation. He has helped coordinate projects that have permanently protected more than 4,000 acres of New York farmland. This entry was posted in Farmland Protection, New York, States and tagged accomplishments, New York, Next generation farmers, No Farms No Food Rally on December 20, 2012 by David Haight. What brought you to at American Farmland Trust and has kept you engaged during your two years here? I’ve actually known about the organization since the early 1980’s and I’ve had a pretty strong interest in farmland preservation and rural conservation issues since then. I first got to know AFT when I was in graduate school and since 2003 had a really good opportunity to work with my predecessor, Don Stuart, who is just a great guy. He knows everybody and pretty much everything about farmland preservation out here. And so I was really inspired by Don’s leadership and interested in trying to continue his work out here. Over the past year, what were some of the greatest accomplishments for AFT work in the Pacific Northwest? Back in February, we released a report on farmland preservation programs around Puget Sound that is a comparative scorecard of how county governments are doing on farmland preservation. As part of that, it identified a few of the counties (three of the 12) that are really doing excellent work in terms of land use planning and purchase and transfer of development rights. We recognized those three with awards this spring and that was very well-received by the counties. One of the best things about the project is that, right after we released the report on the results, we had a couple of counties call up and say, “hey, how do we improve our score?” which is just the kind of thing that we like to hear. Right now we are working actively with a couple of counties to improve their land use planning related to agriculture. It’s exactly the kind of impact that we were hoping to have. Mid-summer we revived Pioneers in Conservation, which offers small grants to farmers to do conservation work on their farms. Out here the focus is mostly on salmon recovery. People are doing is riparian restoration, but it also has tremendous water quality benefits. AFT had a breakthrough moment in the Snoqualmie Valley, just east of Seattle, where we came in with a very, very small pot of money, $35,000, but had the flexibility to allocate it to conservation projects that wouldn’t have been funded through other sources. As a consequence we were able to leverage a lot of funding both from nonprofit organizations and from NRCS. In the process we went from a $35,000 program to a program that’s now funded at about $400,000. And we’ll be doing riparian restoration on more than three miles of critical salmon reaches and farm communities out there. So that’s a pretty big deal. It’s also been called out by USDA out here as a great example of the kind of work that they want to see done around Washington State, particularly in the Puget Sound basin. So it has been a real hit. Then I guess the last thing that I want to discuss is the Farmland Forever campaign. We have a really significant problem with farmland loss here in the Puget Sound region. We’ve lost about 60 percent of our farmland here since 1950, and of course this is near and dear to our mission as an organization. One of the things I’ve been interested in doing since I got here is to try to develop a strong campaign for farmland preservation in the Puget Sound region, particularly where the rates of loss have been high. We actually have a pretty significant grant from an organization called the Washington Women’s Foundation and we were the only grantee in their environmental category this year. We hope that this campaign is going to result in the protection of more than 100,000 acres of additional farmland here in the region. What will be an important step in 2013 for the Farmland Forever campaign? What I think that we’re finding in ramping up the Farmland Forever campaign is that there are a tremendous number of organizations that have an interest in farmland preservation but for whom this is not their primary focus. We need to develop a workable coalition among all those organizations. It’s quite an interesting mix of both agricultural and environmental organizations. Out here people do appreciate the role of farmers in preserving water quality and restoring habitat so there is a pretty strong appreciation for farmland preservation among the environmental community. Can you think of a champion of farmland that has either inspired some of your work or changed the way you thought about approaching the challenges that you’ve faced? Don Stuart. He’s a very self-effacing guy; he can be quiet and deferential. It’s amazing as I’ve gotten into this job to know just how far into this field he was active and what a huge difference he had made in farmland protection throughout the region. I’ve just been humbled by it, to think he was really effective on so many different levels. So he really is one of my heroes in this regard. Any last thoughts about AFT’s work in the Pacific Northwest? We recognize that we are a very, very small organization with a very, very big mission and that we couldn’t get our work done without partnerships all over the place. It’s been wonderful as I get into this job, knowing how willing people are to partner with AFT based largely on a 30 year history of success in this area. And people lean into these activities. So I feel like we’re standing on other people’s shoulders doing this work, people that have gone before and done excellent work for AFT over the years. About the author: Dennis Canty is the Pacific Northwest Director for American Farmland Trust. Before joining AFT, Canty founded Evergreen Funding Consultants in 2001, a Seattle firm that focuses on funding strategies for environmental projects. This entry was posted in Farmland Protection, States, Washington and tagged Dennis Canty, Farmland Forever, Pacific Northwest, Pioneers in Conservation, Puget Sound, Snoqualmie Valley, Washington on December 20, 2012 by Dennis Canty. The Arlington Farmers’ Market is led by a grassroots, volunteer-run organization in the small town in northwestern Washington state. They hand-paint sandwich boards with directions to the market, attend city meetings to cultivate a presence in the community, and they look everywhere–even their own kids’ rooms–for books to read at a story time in the park. It’s fitting, then, that the market was started by farmers looking to expand upon their CSA. Mark and Patricia Lovejoy wanted to bring their fresh, local food to the residents of Arlington, so they simply showcased their produce downtown on Saturdays. Other farmers and crafters joined them. Two years ago the market was turned over to sisters Audrey Houston and Samantha Schuller. The Lovejoy organic produce tent still anchors the market, which has since doubled in size and sales and is recognized as a 2012 winner of the America’s Favorite Farmers Markets™ competition. 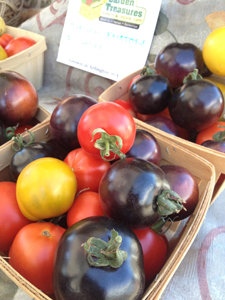 The market is focused on locally grown produce. In fact, most produce is grown within about 25 miles of the market, expect for the stone fruits grown on the other side of the mountains in Eastern Washington. Houston, who serves as the market director, said “the most popular items at the market are the tiny ones–berries.” During peak season, shoppers buy flats full of berries for jams, pies, or to eat by the handful. On any given Saturday during the market, some 800 people will shop at the 13 or so vendors. More vendors join during berry season, but there’s always a variety of goods for the happy shoppers. Residents build relationships with the growers and many parents say they are glad they have the chance to model a healthy lifestyle to their kids by shopping for vegetables, spending time outside, and getting their kids engaged in story time and the free activities, Houston said. The farmers at the market build the same relationships. These personal relationships drive their businesses and customers love the experience of not just knowing, but liking their farmers, Houston said. “Our farmers are people who’ve chosen lives of honest, hard work, who love experiences more than material goods, and who are willing to give up their summer Saturdays to get downtown and make connections within their community,” she added. The market offers growers a unique opportunity to sell to residents. As most grocery stores in the area only purchase food from large growers, the smaller, local farms can use the market downtown as a chance to expand their customer base and it provides an outlet for sales. That grassroots efforts of organizing the market has paid off with the award of best small farmers market. Houston said it’s helped create a buzz in Arlington and the surrounding communities. Organizers plan to build on this success and add new vendors next year, including meat, dairy, prepared foods, and even more farmers. This entry was posted in farmers markets, Local Farms and Food, Washington and tagged America's Favorite Farmers Market, Farmers Market, local food on October 18, 2012 by admin.